There’s a new book I'm reading that you may have heard of: “Good Birders Don’t Wear White—50 Tips from North America’s Top Birders.” If you haven’t yet picked up a copy, buy one or borrow one soon. I think you’ll be glad you did. “Good Birders” has much to offer—excellent short essays about the hobby we love, many of them contributed by “superstars” like Pete Dunne, Kenn Kaufman, David Sibley, Scott Weidensaul and Julie Zickefoose. In other words, folks who know their stuff and can really write. I’m not finished with it yet, but I can already vouch for this book as a solid collection of practical advice. Plus it’s just fun to read. Not all of the contributors are household names. One of my favorite chapters so far is “Birder or Bird Watcher? You Decide,” by Scott Shalaway. He discusses how family obligations have forced him to scale back from his days as an obsessed bird-chasing lister and spend more time watching the backyard. Boy, can I relate to that! But Shalaway also shows why labels like “birder” and “bird watcher” don’t really matter. We can be both. What matters is that we appreciate the birds that are before us, wherever we are. Other chapters in “Good Birders” suggest ways to do just that. The book has a nice sense of humor, too. “Follow These Rules to See a Mangrove Cuckoo,” by Don and Lillian Stokes, does a great job capturing some of the quirky truisms of birding. You know, things like how the best bird of a field trip is usually spotted in the parking lot. The chapter is a good reminder not to take ourselves too seriously and that luck, not skill, often determines the outcome of our bird quests. 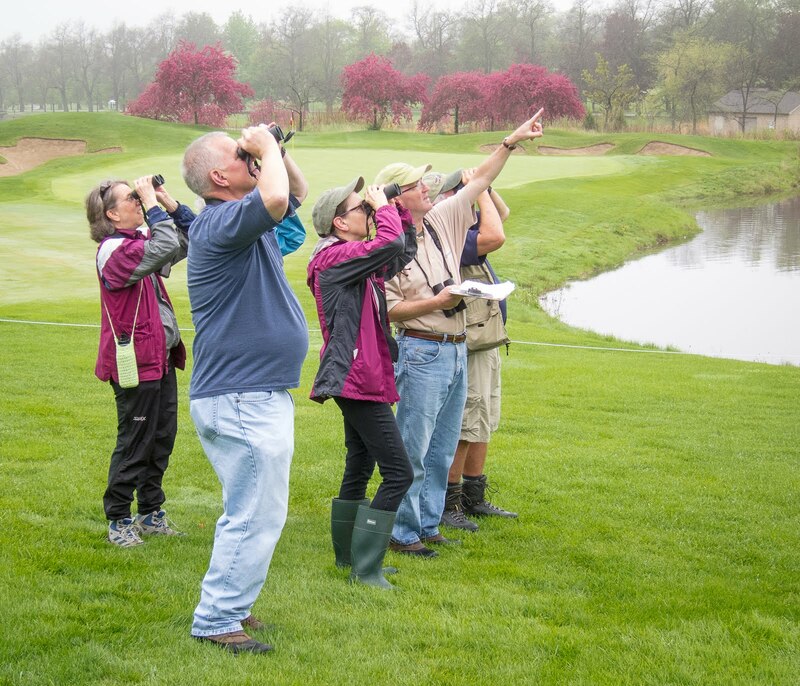 “Good Birders” is a book to savor. I’m taking it slow, reading just two or three chapters at a time—I retain more that way. But it’s a hard book to put down. See for yourself, and go ahead and wear white when you do. More book notes: Weidensaul was the DuPage Birding Club’s guest speaker in July. I’m a big fan, and if you heard him speak or have read his books and magazine articles you can understand why. His latest work, “Of a Feather: A Brief History of American Birding,” is on my bedside table. I never thought much about our hobby’s past until last year when I read “A World of Watchers,” by Joseph Kastner. It was a lot more interesting than I expected it to be. Birding really has a fascinating history, including many colorful personalities. I’m eager to see how Weidensaul handles the topic. The new Roger Tory Peterson biography by Douglas Carlson also is on my “must read” list. It’s the first book about RTP since his death in 1996. Which reminds me, are they ever going to rename one of our warblers in his honor? Hope so.